The automatic paper folding machine is in novel design and very precise to fold paper in different size and thickness. This automatic folding machine is characterized by easy operation, smooth feeding, stepless speed regulation, compactness and efficiency. The automatic paper folding machine is widely applied in fast printing center, manufacturing enterprise, or be used to fold official documents and business Letter, etc. As a professional automatic paper folding machine manufacturer in China, we are engaged in the production and sale of automatic paper folding machines, coding machines, cling film wrappers, impulse sealers, induction sealers, vacuum packaging machines, and other packaging machinery. 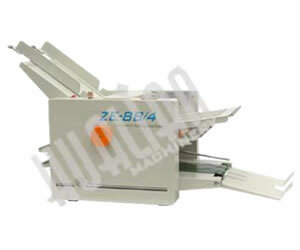 These packaging machines are of high quality and low price.